Rex is a 25 year veteran of Fairfax County (VA) Fire and Rescue Department, retiring in 2018 as an operational battalion chief. Currently Rex is the Deputy Chief of Training with the Spokane, WA Fire Department. Rex served most of his career within special operations and spent over 18 years on the technical rescue team. Rex is fire ground survival instructor for the International Association of Firefighters, and has instructed nationally and internationally on conventional forcible entry and on the dangers of perceptual blindness on the fire-ground with his Silverback Size-Up program. Rex has been and FDIC HOT instructor for the past 3 years. Rex has served on a number of committees at all levels to include NFPA and the technical writing group for the Northern Virginia operating manuals. Jim is a 3rd generation firefighter with 12 years experience as both a career and volunteer firefighter. Currently, Jim serves as a lieutenant in the Fairfax County (VA) Fire and Rescue Department where he is a relief officer assigned to the 4th Batt. Prior to this he spent the 3 years as a field training officer assigned to the training division. He is also a member of the Lutherville Volunteer Fire Company (MD), where he has served as a line officer, training officer and the senior operations officer. Jim is a certified fireground survival instructor for the International Association of Firefighters, and helped deliver the 2016 hands on training program at the Fire Rescue International Conference in San Antonio. Jim is the president and owner of Adapt & Overcome Training, LLC. Jason has been on the job with Fairfax County for 16 years and holds the rank of Captain at Engine 17. Prior to Engine 17 Jason was assigned to Truck 11 where he spent 3 years. Jason also served three years as a field training officer (FTO) in the fire training division and helped build the department’s extensive fire behavior and fire-ground survival programs. Jason has lectured for the Virginia Fire and Rescue Conference and IAFC conference in San Antonio. 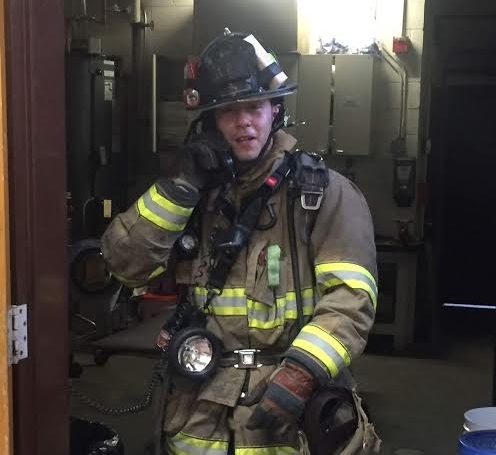 Jason is also an FDIC HOT instructor who has helped put on the 2019 Drilling at the Speed of Flashover class. Casey is 3rd generation firefighter and a career member in Anne Arundel County (MD) Fire Department, where he has worked for 4 years. Casey began his firefighting journey as a volunteer firefighter in Fairport (NY) where he served for 4 years. Casey is also a member of the Lutherville (MD) Volunteer Fire Company in Baltimore County. Ryan is a 3rd generation firefighter with 6 years experience in both career and volunteer departments. He began his career with the Lutherville (MD) Volunteer Fire Company, where he still serves as an active member. Ryan also serves as a career firefighter/EMT with the Baltimore County (MD) Fire Department, where he has worked for 4 years. 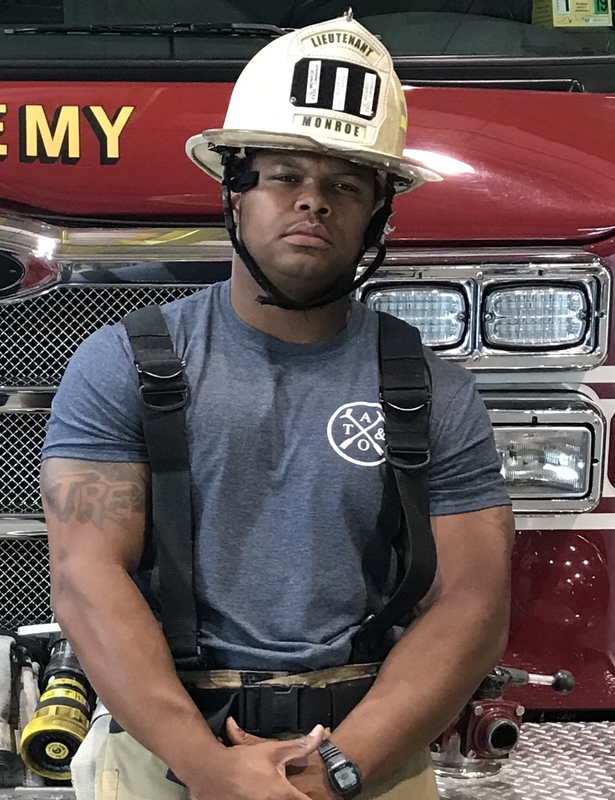 Tre’ has been with Fairfax County Fire & Rescue for 10 years and is a Lieutenant assigned to the Training Academy as a Basic Training Officer. He also spends time an adjunct instructor for the Field Training section. Tre’ is a U.S. Army combat veteran and is a firm believer in “Train How You Fight”. Chris Puzzanghero has been a career firefighter with Fairfax County Fire and Rescue Department since 2011. He started his career at Engine and Truck 410 in Baileys Crossroads and is currently assigned to Engine and Truck 425 in the Reston section of the county. Prior to his career with Fairfax County, Chris served in the United States Marine Corps, Marine Forces Reserve from 2010 through 2014. Brian T. Wood serves as a Lieutenant with the Fairfax County Fire and Rescue Department located in Virginia just outside of Washington D.C. He has 14 years on the job and has served as a Firefighter, Apparatus Technician, and Master Apparatus Technician. He has also served as an adjunct instructor for the last 7 years for both the Basic Training and Field Training branches. His current assignment is at the Fire and Rescue Academy as one of four Field Training Officers that design, prepare, and conduct training for 1400+ firefighters and officers. Prior to the fire service he earned an Associates in Science from NVCC and served 8 years as an Infantryman in The United States Marine Corps. Brian is an FDIC HOT instructor who has helped put on the 2019 Drilling at the Speed of Flashover class.